The word geology is formed from the Greek words (ge = earth) and (logos = study) and was first used by the the Italian naturalist Ulisse Aldrovandi in 1603. Geology is the study of the solid Earth, the rocks and soils of which it is composed and the processes by which it evolves. 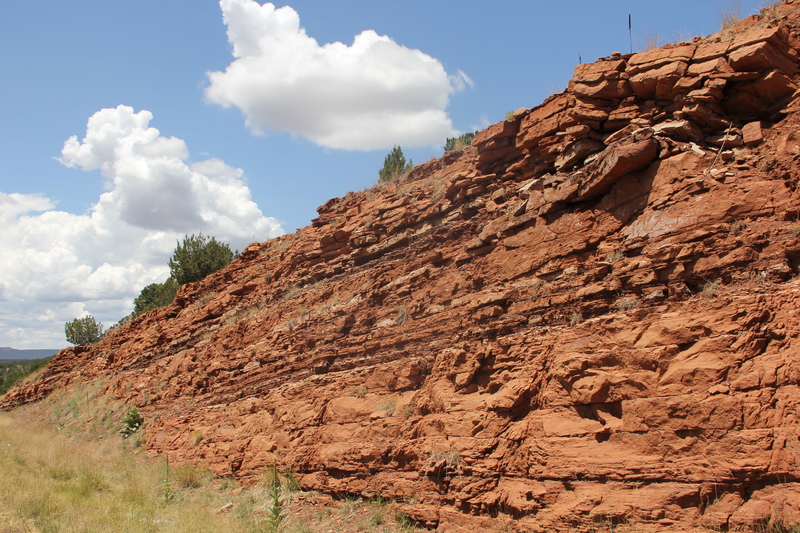 Geology gives insight into the history of the Earth, as it provides primary evidence for plate tectonics, the evolutionary history of life, and past climates. From the Greek (ge = earth) – (morfe = form) – (logos = study). Geomorphology is the scientific study of landforms and the processes that shape them. Volcanoes, glaciers, tectonic uplift or subsidence and the force of gravity are all factors that can alter the surface of the Earth. Other processes that cause landscapes to change can be water, wind, ice, fire, things living on the Earths surface and climate. 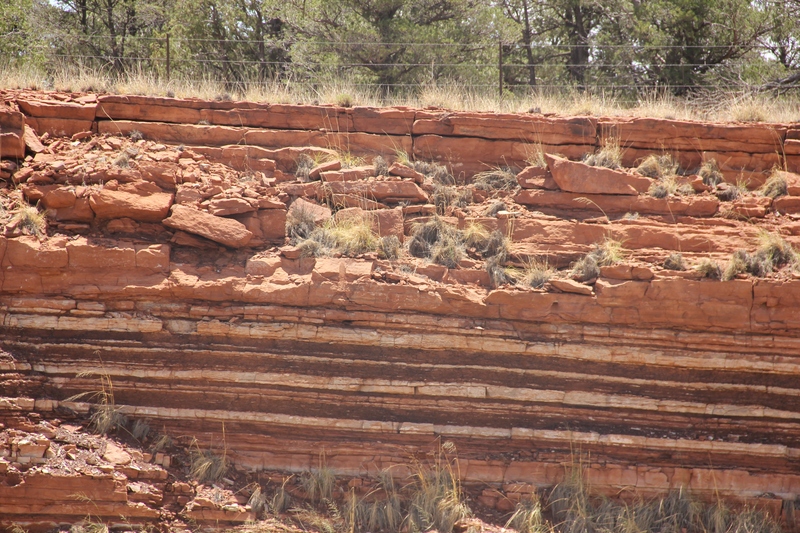 Sedimentary layers are deposited in a time sequence, with the oldest on the bottom and the youngest on top. In the 17th century Danish scientist Nicolas Steno formulated the principle of superposition. He had observed two major rock types in the Apennine Mountains near Florence, Italy, the lower layers had no fossils, while the upper ones were rich in fossils. He suggested that the upper layers had formed in the Biblical flood, after the creation of life, while the lower ones had formed before life had existed. This was the first use of geology to try to distinguish different time periods in the Earth’s history. Steno’s landmark theory that the fossil record was a chronology of different living creatures in different eras was a sine qua non for Darwin’s theory of natural selection. One last thought. Do you experience that feeling of pleasure walking barefoot in the grass? Or think about how people just love to go barefoot at the beach and sink their toes into the sand? These are primal memories from our far distant past. To go barefoot and feel the subtle vibration of this living planet coursing up your legs and lifting your spirit is about connectedness. It’s your planet, stay connected. This entry was posted in earth, history, Nature and tagged Earth, environment, nature, photography, science. Bookmark the permalink. This resonates with me, especially now, so recently back from my Iceland trek. Your three words are not the common ones in Iceland. Instead they talk about fire, ice, and (because of those two) the country being constantly under construction. But whatever the terminology, it all comes down to the dynamics of our living, breathing, evolving planet… and our need to respect it, and connect with it. Bare feet, hot sand, fragrant grass, the open air. It’s all GOOD. Interesting post. Thank you. I enjoyed that, Dohn, especially the final paragraph. We’ve just had a colossal thunderstorm here, so when I get home from work I’m going to sit out in the garden with a beer and smell that dank night air rising from the wet grass and earth. This is fascinating. 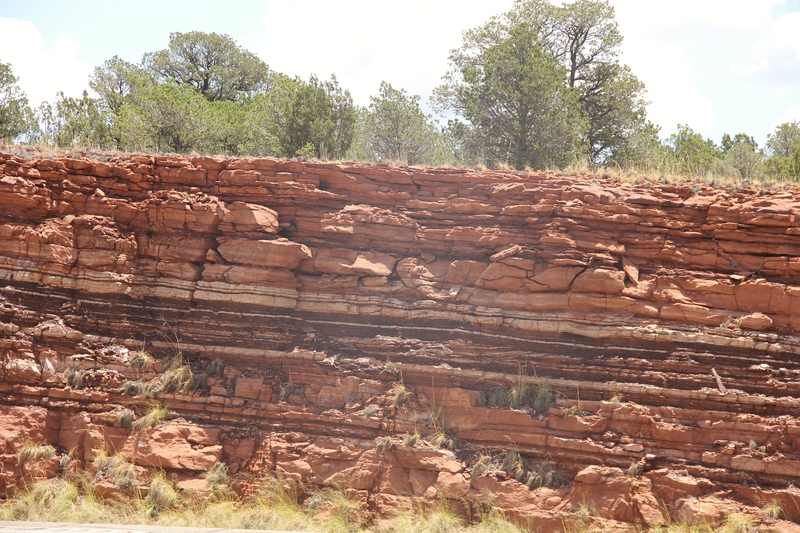 Hope you can give us more on geology and all its stratifications! Love tectonic plates! Even more than grass I love to walk barefoot in clover – lovely stuff! I’m taking my shoes off right now! Absolutely. It is so good for us energetically to connect with our home this way. I love walking barefoot (where it’s possible! ), but as a gardener I like to have my hands in the dirt too! And I love the smell of damp earth… do you think smells are also a primal memory? HaHaHa. Yea I don’t get to do it much at the Lower Farm either Pit, too scratchy. Florida turned me off to doing much gardening because of those fire ants. Really don’t like those buggers, but you get my drift.